Ian Collins is an old man without his son. Patrick Collins is a young boy without his father. On his Christmas list are only three items. He wants the army to find his father. He wants to leave his grandfather’s house. And he wants the dusty wooden soldier in Grandfather’s attic–the one he is forbidden to touch. 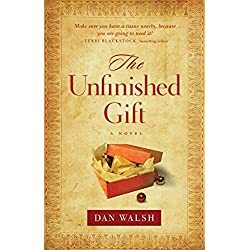 Set in December of 1943, The Unfinished Gift is the engaging story of a family in need of forgiveness. With simple grace, it reminds us of the small things that affect powerful change in our hearts–a young boy’s prayers, a shoe box of love letters, and even a half-carved soldier, long forgotten. This nostalgic story of reconciliation will touch your heart. Aaron Hill has it all – athletic good looks and the many privileges of a star quarterback. His Sundays are spent playing NFL football in front of a televised audience of millions. But Aaron’s about to receive an unexpected handoff, one that will give him a whole new view of his self-centered life. Derrick Anderson is a family man who volunteers his time with foster kids while sustaining a long career as a pro football player. But now he’s looking for a miracle. He must act as team mentor while still striving for the one thing that matters most this season – keeping a promise he made years ago. Megan Gunn works two jobs and spends her spare time helping at the youth center. 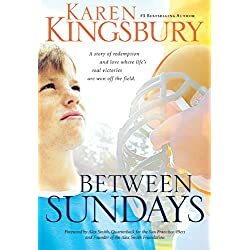 Much of what she does, she does for the one boy for whom she is everything – a foster child whose dying mother left him in Megan’s care. Now she wants to adopt him, but one obstacle stands in the way. Her foster son, Cory, is convinced that 49ers quarterback Aaron Hill is his father. Two men and the game they love. A woman with a heart for the lonely and lost, and a boy who believes the impossible. Thrown together in a season of self-discovery, they’re about to learn lessons in character and grace, love and sacrifice. Because in the end life isn’t defined by what takes place on the first day of the week, but how we live it between Sundays. Julie Charlton is at the breaking point. She’s overwhelmed and burned out, and in today’s unrelenting society, her kids are, too. 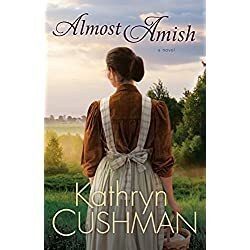 When her sister-in-law Susan, a Martha Stewart-in-training, lands the chance to participate in a reality TV series promoting simple living, and needs another family to join her, it seems like the perfect opportunity. The location is an idyllic farm outside an Amish community in Tennessee. Julie, with her two children, joins Susan and her teenage daughter for a summer adventure. 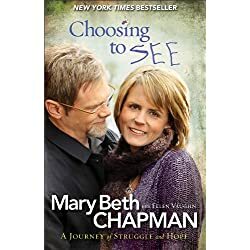 Susan needs to succeed in order to become self-sufficient after an ugly divorce, Julie needs to slow down long enough to remember what her priorities are and regain a sense of purpose and meaning. It becomes clear from the start that “living simple” is no simple matter. With the camera watching every move, Susan’s drive for perfection feels a lot like what they left behind, while Julie suddenly finds herself needing to stand up for slowing down. With each new challenge, their season of “going Amish” gets more and more complicated, as each woman learns unexpected lessons about herself and her family. Like countless others in 1931, Samuel Wortham lost his job. And he lost his wife’s inheritance, their home, and much of his self-respect. Samuel, his wife, Julia, and their two young children hitchhike from Pennsylvania to Illinois in hope of work. Caught on the road by a sudden storm, the Worthams take shelter in an abandoned farmhouse out of desperation. 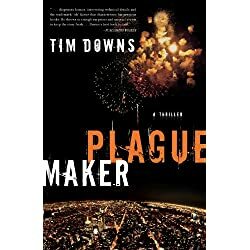 Feeling oddly at home, Julia insists on finding the owner of the property, despite Samuel’s objections, and asks for permission to stay. The owner is Emma Graham, a woman in her eighties who longs for home but can no longer live by herself. Emma and the Worthams work out a plan to live there together and restore the farm. 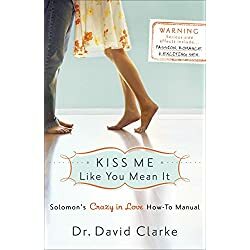 Samuel struggles with not being able to provide for his family, and Julia and the kids confront unpleasant surprises when a busybody neighbor turns against them. 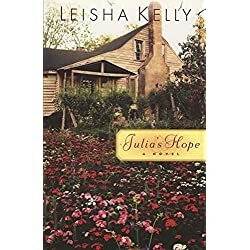 Julia’s Hope is an endearing story of faith and faithfulness as Emma teaches the Worthams to live fully, give generously, and love unconditionally. She insists that the family grow where they are planted, like the garden they tend, and each member of the family is forever changed by her wisdom.